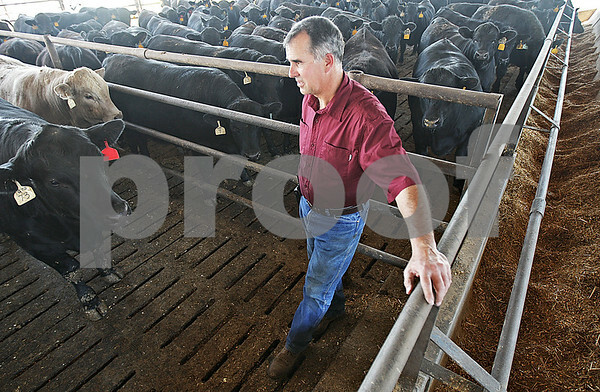 Jamie Willrett checks on some of his 3000 cattle in one of the barns on his Malta cattle feed lot on Tuesday, May 14, 2013. Last year's drought increased the price of feed, which led to farmers like Willrett using different substitutions for feed. How prices fluctuate this year will ultimately depend on the weather.